Celebrate This Mid-Autumn Festival With Häagen-Dazs Cute Mooncake Collections! Woohoo! Mooncake Festival has made its way to us this year. We should definitely celebrate this significant festival with something fabulous like Haagen-Dazs’ mooncakes! A good mooncake will make your reunion during this festival a better one. There are a few series of ice cream mooncakes from Haagen-Dazs this year, let’s discover it! We believe that most people love the Line Friends characters as it is super cute and adorable. 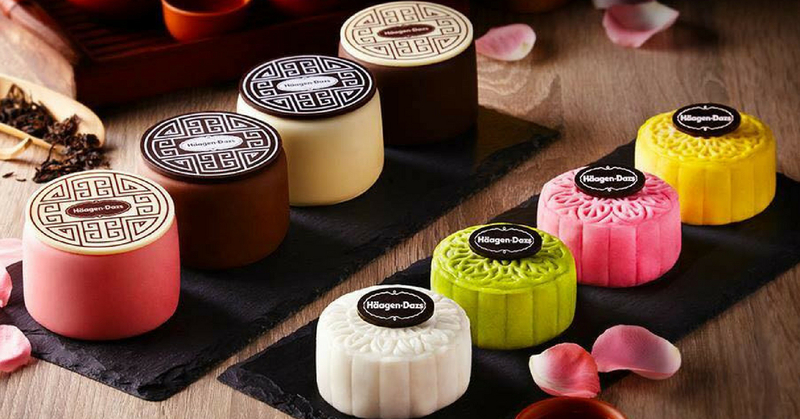 This gives us every reason to purchase the Line Collection mooncakes from Haagen-Dazs. On top of that, the flavours of the mooncakes are super tempting like Pumpkin White Chocolate, Hojicha, Purple Potato White Chocolate and Green Tea Chocolate coatings, with Macadamia Nut, Vanilla and Green Tea ice cream fillings. This collection is authentic as it features moon and stars! There are a total of 8 delicious ice-cream flavours like Mango&Vanilla, Belgian Chocolate, Strawberry&Lychee Raspberry, Strawberry Cheesecake, Cookies&Cream, Chocolate, Caramel Biscuit&Cream, and Strawberry Cheesecake. If you love mochi, you will love the mochi collection and what’s even better is it is accompanied with ice-cream! If you prefer something crispy, then you can go for this collection. It is something like ice-cream coated with crispy wafers. The flavours featured are green tea, vanilla, and caramel. Say Goodbye To IKEA Malaysia’s Signature Treat!